I just found out from my mother in law that there will be some wool fleece coming my way which is SO AWESOME! I will have to decided if it will be good for wet felting, because otherwise it will get spun on this bad boy! The coolest thing about the rug is that is is reversible! I adore it! I have been busy weaving up scarves on my four harness jack loom in the basement. A-It is so much cooler down there and B-I need to start building up some stock for the Annual Sale in November. This scarf in 100% wool, made with a peach and sage green space dyed wool, and a few stripes of peach and rust stuff I have on cones. This scarf was a real learning experience for me. It is difficult to see but I wove a stripe of darker green above and below the horizontal orange stripes and that yarn didn't shrink at all when I wet the scarf out to finish it. So I had to cut it out and replace that with the paler green weft and re-wet it and hope for the best. Shown below is the scarf where the yarn has been replaced in the left side but not yet on the right. 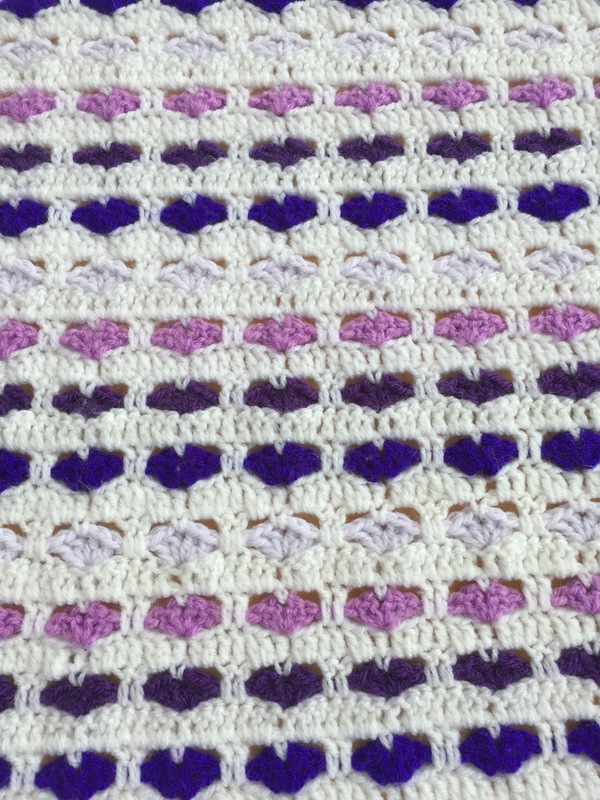 It looked a lot worse in reality, but if you click on it you can see the puckering that occurred when that section of weft did not shrink with the rest. Below are close ups of the two sides. Now I got a much better result once the weft was replaced, but because I was sewing it in by hand the tension was different and so I did experience a bit of a pucker at the outside edge when the yarn I replaced shrunk, but over all it's much better than what I had before. The other thing that happened was kind of a happy accident. The stripes of rust and peach were of a different wool than the rest of the warp, and it shrunk more. So it pulled up the ends of the scarf into a scallop. NEAT. I left a very long fringe, plying two warp threads together all the way across. (Sarah, I absolutely used that little doohickey you gave me. It worked like a charm and my fingers thank you). Below is the puckered scarf before I wove in the new weft. And this scarf was a real quickie using some dishcloth cotton I had dyed. One side was pale brown, space dyed with navy, and the other side is peach. I used a peach acrylic faux-hair for weft. Not only is the scarf soft and fuzzy, but since it doesn't have any animal fiber in it it might appeal to a vegan, unless they are concerned about the dyes. The peach faux-hair crosses the areas of pale brown in the navy warp and gives the scarf a mottled look. I had warp threads break on me! So where you see the white cord wrapped in figure eights around t-pins that is a busted warp thread than I had to replace. 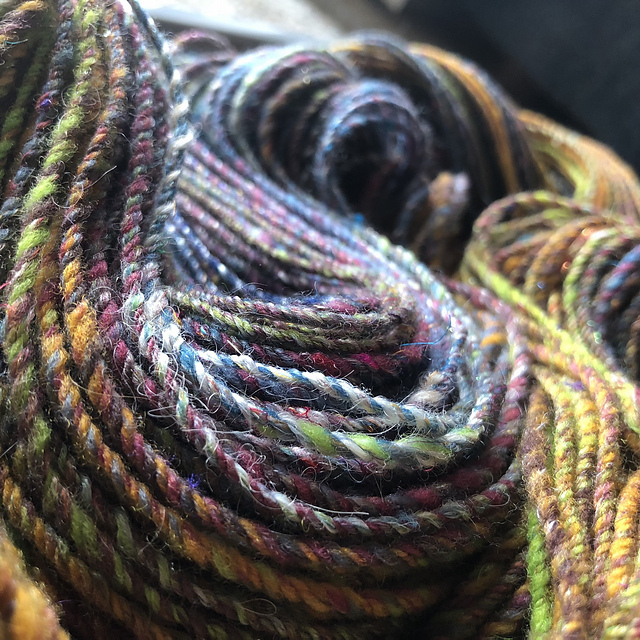 I seriously have nightmares about this kind of thing and it was a bit trying when they started to fray, especially because it is supposed to be a high quality rug warp and I paid a hefty sum for it. GAR. Weaver's bottom: Inflammation of the bursa that separates the gluteus maximus muscle of the buttocks from the underlying bony prominence of the bone that we sit on, the ischial tuberosity. Weaver's bottom is a form of bursitis that is usually caused by prolonged sitting on hard surfaces that press against the bones of the bottom or mid-buttocks. In proper medical parlance, Weaver's bottom is called ischial bursitis. I'm gad the dohickey is getting used! Is there something you can do to ease weaver's bottom? Special cushions or something? I'm absolutely in love with the reddish scales on the right. LOVE. sorry to hear about your bottom! But the tapestry looks fantastic, even with warp threads breaking.